A journey back in time. Shall we go back to 1998? The 90s: those fabulous years filled with events and unique tales which impacted the lives of many of us… Now, in 2018, some of them are turning 20! Who’d have guessed…Time flies! 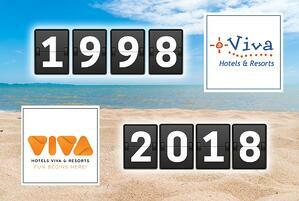 Pedro Pascual, together with other partners, created the Hotels VIVA group in the Balearics, 20 years ago. Twenty years later, their dream and entrepreneurial drive are still going strong. With a team of exceptional men and women, VIVA is growing and reinventing itself. Hotels VIVA changes to make sure nothing else does! 1998 was declared the International Year of the Ocean by the United Nations. On 4 September, two students at Stanford University, Larry Page and Serguei Brin, founded the company Google, which, although it seems like it’s been around forever, was created in 1998. Meanwhile in Germany, Volkswagen launched the “New Beetle” model and coming back onto home turf, on 18 February, the Galician city Santiago de Compostela was awarded the European Prize for Urban Public Space, introduced by the European Commission. In sport, France won the football World Cup for the first time after beating Brazil 3-0, and Abraham Olano became the first cyclist to be named world champion in both road racing and time trials. There was also some sad news in 1998, as on 14 May, we lost the fantastic voice of Frank Sinatra and on 6 September the Japanese filmmaker Akira Kurosawa and Spanish poet, Gloria Fuertes, passed away. In the world of videogaming there were some jaw dropping events! It was in 1998 that an infinite number of real gems and masterpieces were released: The Legend of Zelda: Ocarina of Time, Metal Gear Solid, Half-Life and StarCraft are just some examples from this unbeatable year packed with incredible names. “Por si el tiempo me arrastra a playas desiertas” (In case time drags me to deserted beaches)” …. Does that ring a bell? Yes, it’s the words to a legendary song by the Spanish group El ultimo de la Fila, who announced their permanent separation in this year. The American Hard Rock band Aerosmith moved us with “I don’t want to miss a thing”, and Shakira became well-known in Spanish territory with “Ciega, Sordomuda”. Ricky Martin released his song “The Copa de la vida” in aid of the football World Cup and Alejandro Sanz had his heart broken, releasing his song “Corazón Partío”. It’s also the year when James Cameron’s Titanic won 11 Oscars and José Saramago won the Nobel Prize for Literature. In 1998, the biggest box office film in the history of Spanish cinema and double prize winner was released *drum roll*… “Torrente, el brazo tonto de la ley”! Did you expect that? “As good as it gets”; I know what I’ve already told you is “as good as it gets”, but it’s also the name of another legendary film that was released at this time. The billboards were also filled with other great films including “Armageddon”, “American History X”, “The Big Lebowski” and “Saving Private Ryan”. 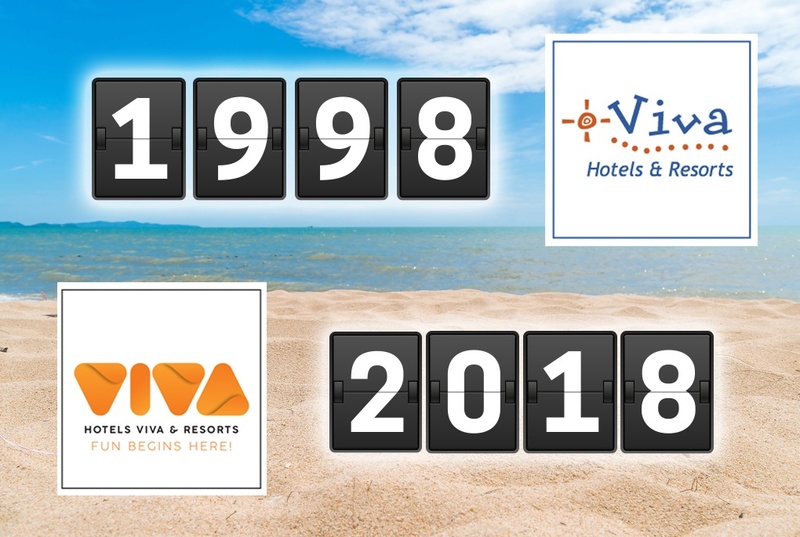 1998 was and still is, a very important year for us, a key milestone with countless events which have impacted both our past and our lives.